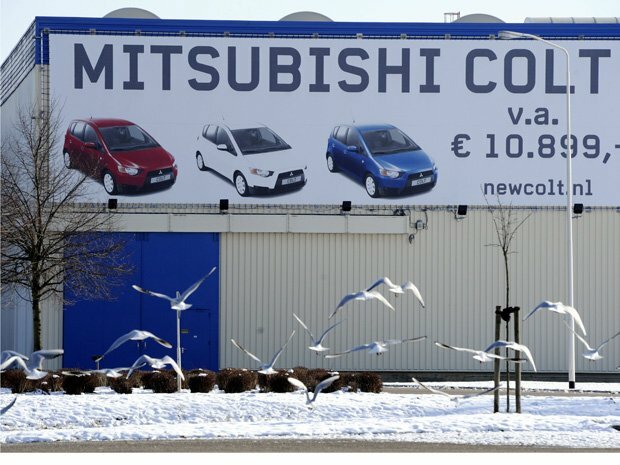 NedCar, the Dutch plant of Mitsubishi Motors, is offered to be sold for one euro, a day after the Japanese car-maker said it was halting production there. As 1,000 workers blocked entrances to the plant, unions reportedly called a strike on Friday against the closure. Union leaders say shutting the plant would be a “disaster” for the southern Netherlands. Mitsubishi Motors has blamed the difficult operating environment in Europe for its decision. The NedCar plant in the south-eastern province of Limburg currently employs 1,500 workers, producing Colts and Outlanders. Under Tuesday’s offer, announced by Mitsubishi Motors President Osamu Masuko according to a spokesman, the plant would be sold for a euro “if the payroll of about 1,500 factory workers can be maintained”. As things stand the factory is due to close down at the end of this year. The workers decided to go on strike to show they were not prepared to accept the decision “like lambs to the slaughter”, Dutch broadcaster Nos reported. But it added that the unions wanted to find a suitable buyer for the plant.